I didn’t realize until I was searching for an older blog post on blind Sophie this morning that almost a year ago to the day, I had also posted an update on her first anniversary since her diabetes diagnosis. (Thank heavens we have the blog — it sure beats my memory for reliability!) 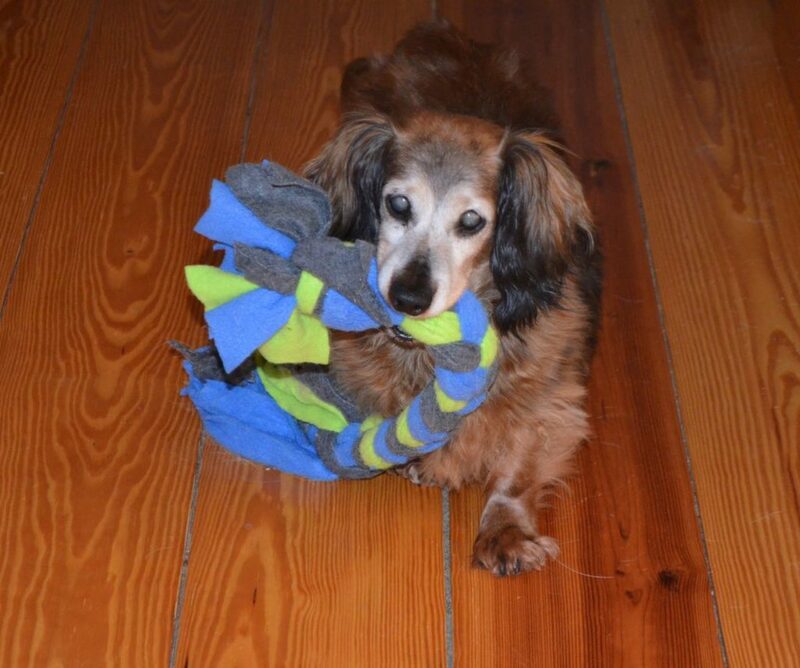 And that blog post, too, had a photo of her happily parading around the house with a soft chew toy in her mouth! Alayne took that photo above on a recent afternoon over the holidays. Yes, it’s been two years now, and she is doing great. Her blood sugar levels continue to be’stable, her overall health remains terrific, and her attitude is?classic Sophie: growling as Alayne gives her the twice-daily insulin shots, growling when she’s picked up, growling when she’s being?petted, growling when we put her food bowl in front of her. Growling is her lingua franca, you might say. No biting or snapping ever, it’s not aggressive in nature at all, it’s just her weird way of expressing every day emotions. Happy or sad, it’s always a growl. And THIS is why they entertain us, better than the latest sitcom, for sure. Sofie the growler, her unique way. Gotta love it!! We don’t normally see a photo of all of Sophie. She has beautiful long hair and she is so pretty. Looks like Tanner isn’t the only one who likes the longer toys. (I’ll have to remember that.) This one is sure Sophie size. Funny girl with her growling. Makes you wonder what she thinks. I guess they all communicate in their own way. Maybe it’s not a growl to her, just a noise showing she’s content. Either way, it’s really nice to hear that’s she doing so well after her rocky start. SHE’S SO PRETTY. SOME OF US IN THE HUMAN WORLD GROWL ALOT TOO, JUST BECAUSE, SO YOU GO GIRL. Sophie is so cute! Love that toy. So glad she is continuing to do well. I’m sure it’s no fun getting (or giving) a shot twice a day, but she looks very happy. 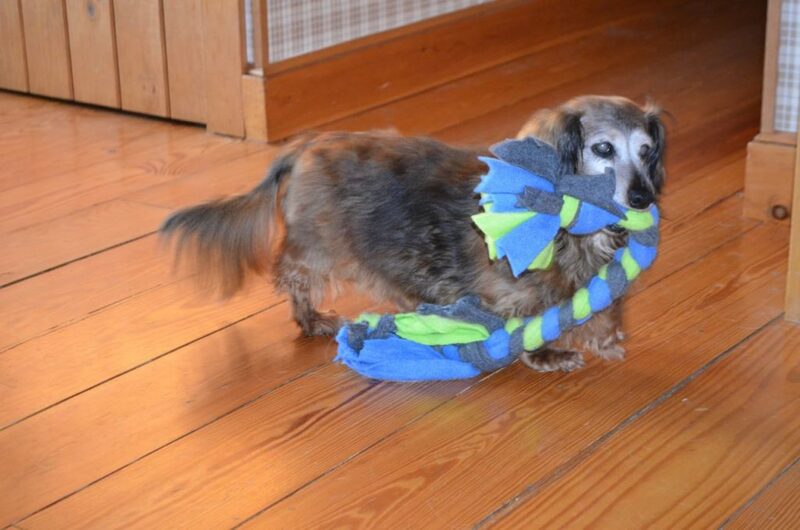 Typical dachshund! She’s so beautiful and obviously happy! She is utterly charming…growl and all!